Adopt an ANGEL is a 501c3 charitable organization based in New Hanover County, North Carolina. We were founded in January of 2004 and our mission is to reduce the numbers of animals euthanized in our area shelters through aggressive adoption and spay/neuter programs. We partner with area shelters, to concentrate on the cats and dogs that have run out of time or have special needs. We move them to a safe haven with private citizens, strive to provide them with any veterinary care they need, and then we find them loving homes. Since 2004, over 11,000 of these previously unwanted animals found their forever homes through our safety net. When one of ours gets adopted, we go and get another. It's as simple as that! All active volunteers receive no monetary compensation for their work. They graciously donate their time, talents and finances to this worthwhile cause. Download Our Brochure. Adopt an ANGEL has no real shelter. It is a foster home network. Please visit us and our homeless animals at Petco during our weekend adoption fairs. We are at Petco on S. College Rd in Wilmington, NC every Sat and Sun from 11-5. You may also visit with a sample of our cats at Petco, Pet Supermarket in Wilmington or at PetSense in both Wilmington and Shallotte. Our cats and kittens are in these stores 7 days a week. To View a typical weekend adoption fair at Petco,please click here. Adopt an ANGEL has been a part of the Wilmington Fur Ball since 2007. The 2017 Wilmington Fur Ball is fast approaching so we encourage you to get tickets soon. It usually sells out. 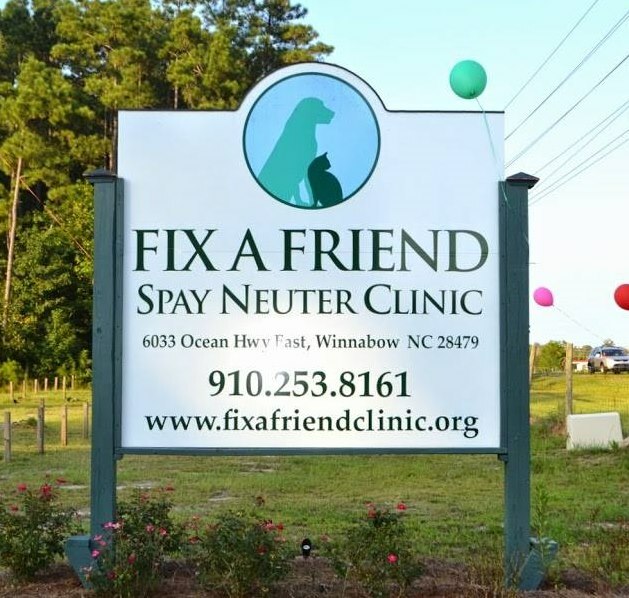 To further reduce local pet overpopulation Adopt An ANGEL created Fix A Friend Spay Neuter Clinic. This clinic is part of the National Spay Neuter Response Team and has performed over 40,000 surgeries since opening in 2013. Please DONATE TODAY to help our local cause. Donations fund spay/neuter surgeries, heartworm treatments, veterinary care for sick and injured animals, adoption fees at local animal controls, gas for transport vehicles and necessary supplies such as: leashes, collars, carriers and crates. We could not do this without your generosity. Thank you for helping us help them.